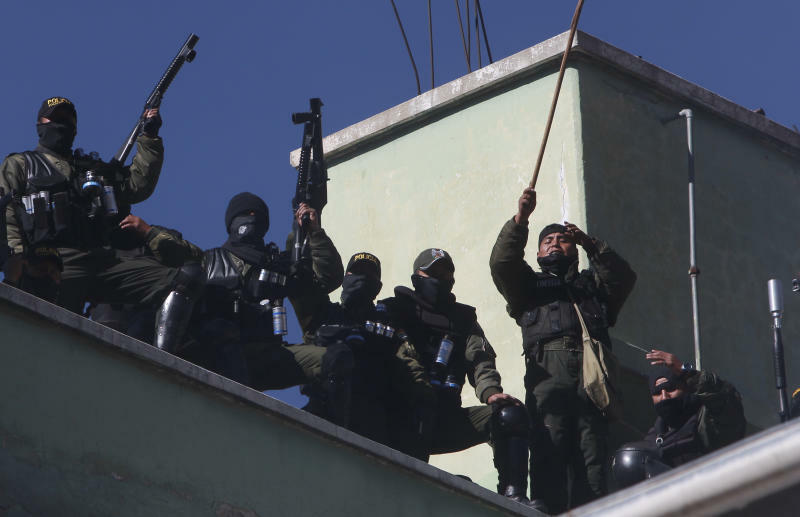 LA PAZ, Bolivia (AP) — Striking Bolivian police officers have rejected an accord with the government four days into a nationwide strike to demand higher wages. 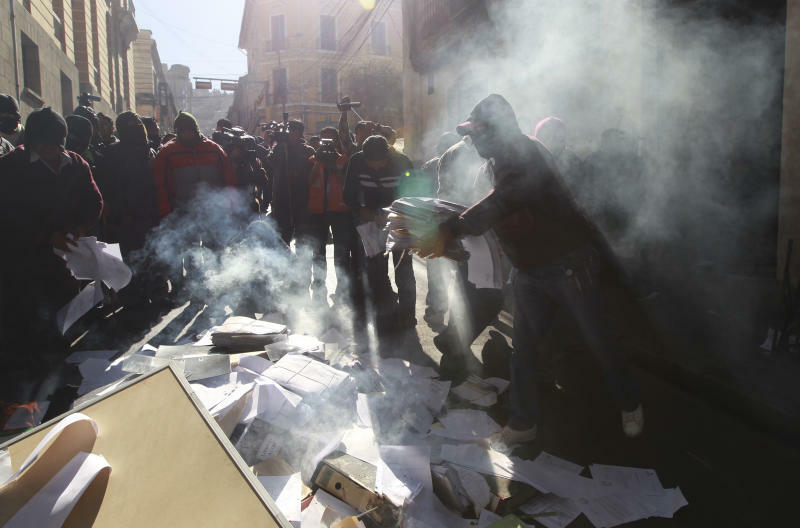 The protesting rank-and-file police burned copies of the agreement during marches across Bolivia Sunday and said they would elect new representatives. 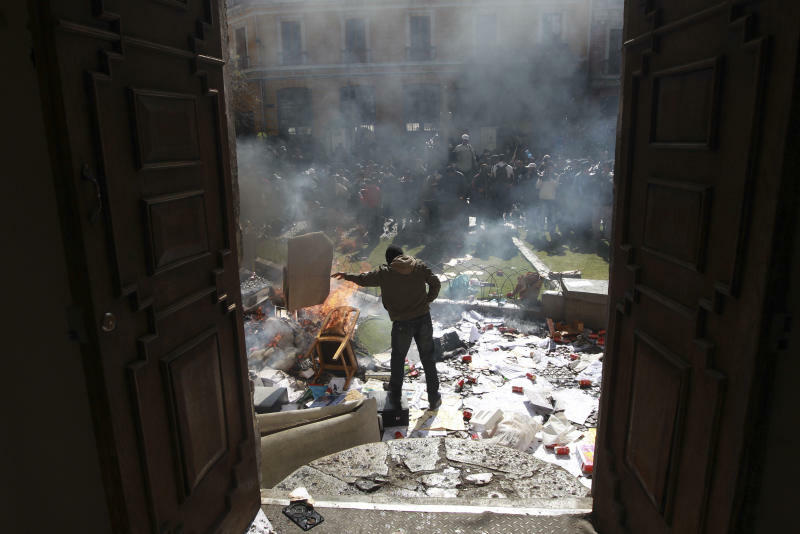 President Evo Morales accused his political foes of using the mutiny to prepare a coup d'etat. The striking police rejected an accord reached overnight that would have raised salaries by $30 a month above the current $194. They are seeking wages on par with army sergeants, who earn nearly $300. The protest has been largely peaceful though some injuries occurred Thursday when about 30 police and their wives launched the mutiny with the occupation of a La Paz police barracks.